Carl is one of the owners of New England Glass Co. with his brother-in-law Tom Haling. Carl grew up in Glastonbury, CT and graduated from Georgetown University with a major in Finance. Before purchasing New England Glass Co. in 1988 he worked for Arthur Andersen in New York City. Carl prides himself on being an active member of the community and in supporting other small businesses. He is on the Board of Directors for the YMCA of Westerly/Mystic, Norwich Community Development Corporation and the Williams School. Carl’s position as President means he’s involved in every aspect of a project from the start to the finish. Carl’s vision for the future has been what has made New England Glass Co. a leader in the glazing industry. Tom is one of the owners of New England Glass Co. with his brother-in-law Carl Reiser. Tom grew up in Pittsfield, MA and graduated from the University of Notre Dame with a Bachelor of Science in Psychology. Tom and Carl purchased New England Glass Co. from Alfred Cohn back in 1988. Tom is an expert in all aspects of glass and glazing and continues to grow his knowledge base through seminars, glass magazines, vendor webinars on the latest products and in-house product demonstrations. Tom is great to work for and is an integral part of our Commercial Estimating team. Danny graduated from Norwich University in 1994 with a BS in Business Management and minors in Accounting and Economics then went on to own and operate 2 successful jewelry stores in St John, USVI. He came to work with NEGM in July of 2015 after working with a local Norwich glazing company as an estimator for 5 years. Danny has continued to tune his skills as a commercial estimator through the use of seminars and webinars and working closely with the rest of the NEGM team. Danny is proficient in CADD, is instrumental in NEGM’s production of Shop Drawings and is gaining new skills in BIM, REVIT and 3D CADD. Although Danny works from his home in Sanbornton, NH most days, he works very closely with our NEGM family. Mike graduated from Plainfield High School and went on to further his education at Three Rivers Community College in computer programming and math. Before coming to New England Glass Co., Mike worked for Delta Rubber and Kaman Aerospace. Mike originally started with New England Glass in the Mystic Mirror Co. division where he was the shop foreman, responsible for assembling fog free mirrors, testing them and processing orders for shipment. Mike was recruited over to New England Glass Co. to be an estimator of small commercial projects. Mike moved up the ladder from estimator to project manager to project coordinator responsible for managing and overseeing a variety of projects, working with the project manager and scheduling a team of 10 glass technicians. Mike is fully licensed as an FG-2 glazier. Mike has been with New England Glass Co. for over 16 years now and is a vital part of our management team. Dennis graduated from South Kingston High School in Rhode Island. Dennis came to New England Glass with over 12 years of experience in the glass industry working for Glass Tech, Inc., North Kingston, RI. Dennis started his career as a welder and carpenter and has learned the glass business from the ground up, first as a field glazier and working his way up to project manager. Dennis is a great team player and works closely with Mike, our Project Coordinator, while managing a crew of 10 glass technicians, and overseeing several concurrent projects at a time. 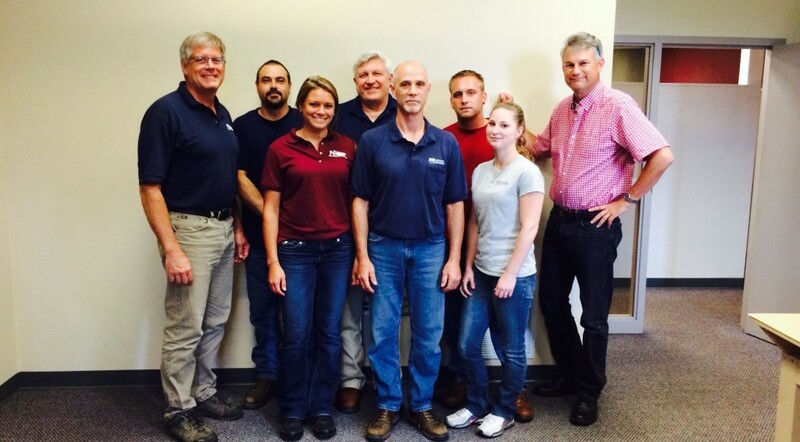 Dennis’ many years in the glass industry made him the perfect fit for our project management team. Alicia graduated from Norwich Free Academy and went on to further her education at Three Rivers Community College in early childhood development and accounting. Alicia started with New England Glass as a part time office assistant. Over the several years that she has been with New England Glass, she has climbed the ladder to join our estimating department as a Project Assistant. Alicia has proven herself to be a resourceful and valuable member of the project management team. Mollie graduated from the University of Connecticut, graduating with a Bachelor of Science in Allied Health and a minor in Psychology. Over the few years, Mollie has been involved in many aspects of the business from estimation to project management. She recently has moved back into the position of assistant estimator where she hopes to refine her skills and become a developed estimator. She has been a member to the Board of Directors of the Connecticut Glass Dealers Association (CGDA) for the past few years and was recently awarded president for 2017 and 2018.